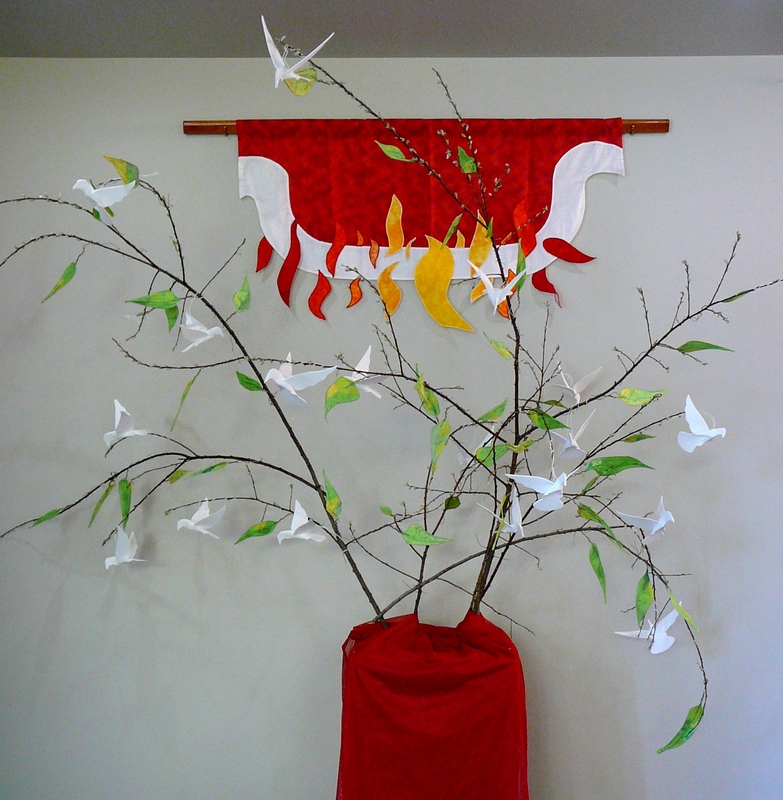 This year for Pentecost in the foyer of the church we set up a display of doves flying in a tree with green leaves and a banner of flames in the back. 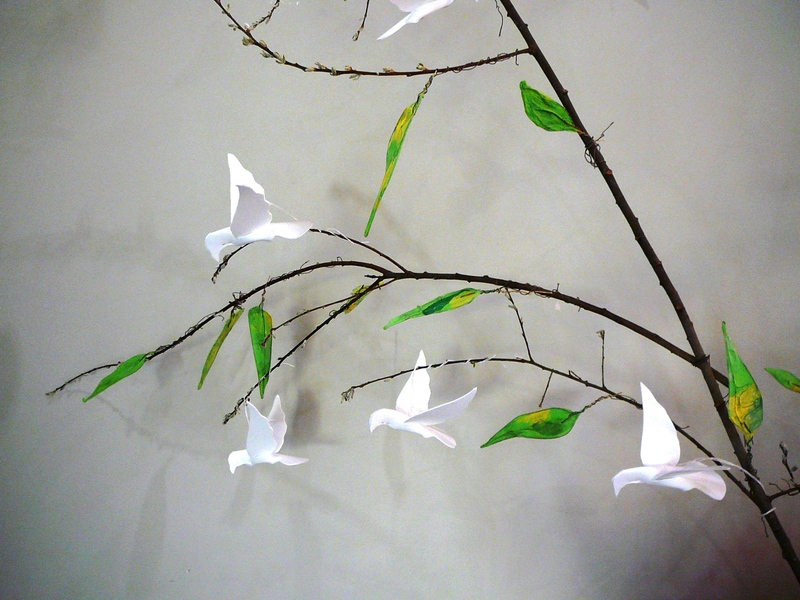 Buoyant, alive, playful… I felt the arrangement reflected the spirit of the day. The shadows added another dimension to the grouping.